"Fan Medicated Soap is a Chinese soap scented with medicinal herbal essences: helps troublesome skin conditions and clears away jealousy, evil spirits, and unnatural illness. 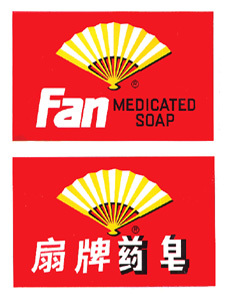 The labels shown here are from the front and the back of a box of Fan Medicated Soap, made in Shanghai, China, and still presented in strikingly art-deco-style vintage-look packaging. 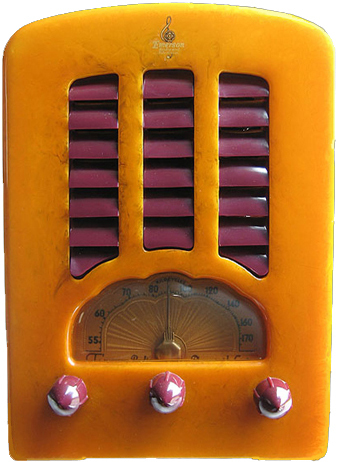 The vivid red, yellow, and black label depicts a Chinese Fan, to brush away problems. Folks use this soap, with its strong, purifying Camphor scent, for the same purposes as Uncrossing products and 13 Herb Bath. The original and primary purpose of Fan Medicated Soap is for eradicating bacteria, fungus, and parasites on the skin, and it is truly useful for that purpose. Over time, probably due to the proximity of Chinese and African-American communities in some American cities, Fan Medicated Soap has found favour among hoodoo practitioners engaged in any sort of spiritual work for cleansing ad purification of a person. Fan Medicated Soap can be shaved and added to scrub-water where rites of spiritual house-cleaning and protection are being undertaken, such as where a three-ingredient floor wash or house scrub for spiritual cleansing and protection is being made up with common articles such as Pine-Sol or liquid Chinese Wash, Salt, and shaved soap -- and especially in situations where Camphor is also being burned as a resin incense. Camphor is an herb that is believed to clear away all evil messes, to uncross and break jinxes, and to provide great personal protection from magical attacks. Therefore you can wash yourself -- or your clothes -- with Fan medicated Laundry Soap as a form of spiritual work. Just be aware that the camphor scent in this soap is quite strong, and you will find it quite unlike the hard-milled complexion soaps and beauty bars such as Black and White Skin Soap. 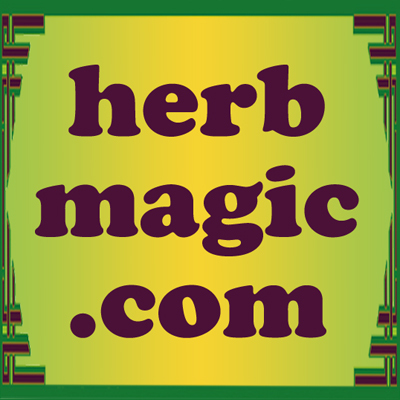 Order Fan Medicated Soap from the Lucky Mojo Curio Co.